Latte brulé, a firm milk custard drenched in glossy caramel, is an Italian variation on crème caramel and has come to be synonymous with the region of Emilia-Romagna. 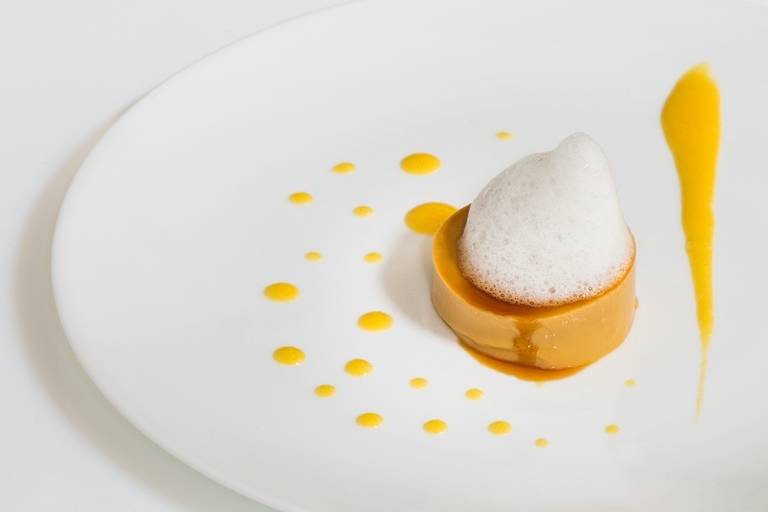 In this stunning Italian dessert recipe Igles Corelli infuses the caramel with orange and adds an extra dose of citrus with an orange custard sauce. Being at the forefront of the Italian nouvelle cuisine movement when he was younger helped form Igles Corelli's playful, creative cooking style.